This Gallery Z Knock-off done by The Ivy Cottage Blog is stunning! Wobi Sobi turned this boring white shirt into a crazy cute halter! Isn't this Anthro knock-off tank by Southern Fairy Designs adorable? 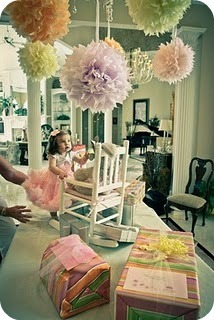 And aren't these tissue paper pom-poms used as a first birthday party decoration by Evelyn Kate Designs so pretty?? I'm so sad that i have nothing to share, but I'm looking forward to looking at every body else's goodies!!! love this link up!! Thank you so much Rebecca for featuring my vase! You are so sweet! I really appreciate it! Thanks for the invite! You have a great blog! 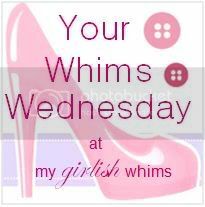 Thanks for inviting me to your linky party! I love your jewelry! Rebecca, thanks for hosting this linky and the invite. Following back! Love your blog. My sil did pom poms for her wedding and they turned out fabulous. 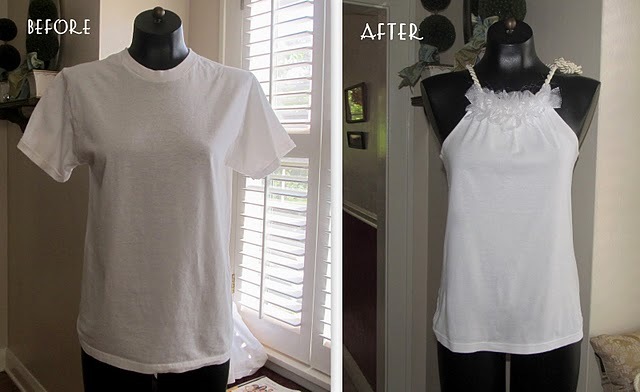 Oh my gosh, I am so doing that adorable halter top mod! Thanks for featuring it! Thanks for the invite to your linky party! I will be linking up! Thank you for the invite! I just linked up!